Non-Profits CAN Lobby! - Overview of IRS lobbying regulations for 501(c)(3) public charities. Charities and Elections - Read this election-season fact-sheet for information about how New Jersey public charities can safely advance their missions and encourage civic participation. As has been reported previously, effective May 1, 2018, the New Jersey Division of Consumer Affairs is requiring that all charities registrations and renewasl be submitted via the Division's dedicated online portal; paper submissions will no longer be accepted. In response to concerns expressed by the Center and others about the portal and backlogs processing reigstration records and requests for filing assistance, on June 29 the Division announced that charities would be given an additional 30 days to submit online extension requests for 12/31/2017 reports that would have been due June 30, 2018. On July 27, the Division announced that it would further extend the grace period by an additional month. The new deadline for submitting extension requests is August 31, 2018. The Division of Consumer Affairs has created a new email address, charitiesportalsupport@dca.lps.state.nj.us, specifically for questions about the registration portal. The Center for Non-Profits met with Division officials on July 10 to discuss the portal and share suggestions about other ways to work together for the benefit of all. The Division has indicated that certain updates to the system and more detailed instructions and educational materials are under development, but stresses that some of this will take time. The Division encourages charities to contact them directly with any questions, and also encourages interested parties to share feedback about the system so that additional improvements can continue to be made. The Center for Non-Profits will continue to advocate for a charitable fund raising system that protects donors and charities alike without excessively burdening charitable organizations, and we look forward to working with the Division in the coming months. We encourage charities, regardless of their fiscal year and filing period, to become familiar with the online system and set up an account promptly, so that extensions may be requested if needed. See below for more information. If you have feedback that you would like to share regarding the online portal or other aspects of charities registration, please share it with us so that we can advocate effectively for you. We will continue to post additional updates as they become available. Earlier this year, the New Jersey Division of Consumer Affairs announced that effective May 1, all annual charities registration renewals and extension requests must be filed through the charities registration online portal and that paper filings will no longer be accepted. For charities whose fiscal years ended on December 31, 2017, this means that the first mandatory online filings, including any extension requests, would normally be due June 30; however, in response to concerns expressed by the Center for Non-Profits and others, on June 29 the Division announced that it would grant a 30-day grace period for these organizations to request extensions to file their reports. 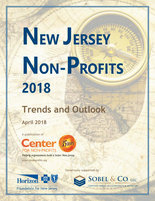 Most charities that solicit funds in New Jersey are required by law to register and file annual financial reports with the New Jersey Division of Consumer Affairs, Charities Registration Section. Religious organizations and certain educational institutions are exempt from registration, and registration is voluntary for organizations that raise less than $10,000 per year in contributions if they don’t use a professional fundraiser. The Division attempted in previous years to launch the mandatory online portal but previously delayed its implementation in response to a series of questions and concerns from the charitable community. In our recent meeting, the Division indicated that they are working to address these issues. The Center will continue to push for more permanent fixes to the portal. Charities are encouraged to familiarize themselves with the portal well in advance of their filing deadline, and to share questions and concerns with the Division of Consumer Affairs and the Center for Non-Profits. Allowing filers to incorporate by reference the financial information in the Form 990, which would save time and improve the accuracy of submmissions. In prior years, the paper registration forms allowed users to check a box to indicate that financial data was included in their Form 990. Improving the online instructions and context-sensitive help for the online portal and online forms. Improving the overall navigability of the Consumer Affairs website and portal as pertains to charitable fundraising registration and compliance. Addressing recordkeeping backlogs at Charities Registration so that organization status is up to date and notifications regarding filing status are issued promptly. The Charities Registration Section has indicated that they are open to feedback about the new system, and the Center is communicating with them about these and other questions. We have also asked to work with the Division to make educational materials such as detailed walkthroughs, instructions and webinars available to assist the charitable community. Don’t wait before trying to familiarize yourself with the new system. If you can request a filing extension, consider doing so -- even if you think you will be able to file by your regular due date -- in order to give yourself some breathing room regarding the new system (note that extension requests must be filed online). Create a MyNewJersey account for your organization if you don’t already have one. MyNewJersey is a business registration portal that can be used to access other State services such as corporate annual reports and other items. A MyNewJersey account is required for organizations to be able to use the charities registration online system, and is essential even for extension requests. For purposes of charities registration filings, the best way to access MyNewJersey is via the Consumer Affairs Charities Registration page at https://njconsumeraffairs.state.nj.us/sign-in/?returnurl=%2f. Once you’ve registered at MyNewJersey and linked that account with Charities Registration, you can create a charity profile on the Charities Registration site and add contact information for anyone who will file on your behalf. At this point, you can access the rest of the system to check your status, file extension requests, or proceed with your registration or renewal. Once you can access your organization’s information in the system, check your charity’s status. If you are listed as noncompliant, you will not be able to submit new registrations or extension requests. Due to recordkeeping backlogs at Charities Registration, some organizations may appear noncompliant in their filings even though their submissions may have been timely. Charities Registration mails notices of noncompliance, so check to see if you have received one and follow the instructions contained in that notice; if you don't have a notice or have questions, contact the Division directly. Be aware that even though the online system is now mandatory, if you owe back fees, depending on the circummstances you may need to submit those by mail. Contact the Charities Registration Section at 973-504-6215 to address any problems with your filings or status. Charity portal questions or problems can also be emailed to the Division at charitiesportalsupport@dca.lps.state.nj.us. PLEASE SHARE YOUR EXPERIENCES WITH US. We are looking for feedback regarding users’ experiences with the new system in order to identify and work to alleviate any undue confusion and needless administrative burdens for regulated organizations. We can advocate most effectively and work to resolve problems if we hear from you. Tell us what’s working well with the new system, what isn’t working, and what kinds of questions you are having. If you’ve had questions answered that can benefit others, please let us know that so that we can share. Please send your questions, comments, tips and suggestions to Linda Czipo at lczipo @ njnonprofits.org (remove the spaces in the email address before sending). We will provide more updates as they become available. 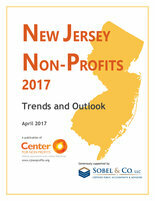 If your organization is not currently a member, please explore the many benefits of membership at www.njnonprofits.org/Membership.html. 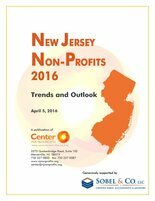 Membership is a sound investment in your organization and in New Jersey's non-profit community for the people of our state. Strengthen your organization and amplify the non-profit voice. Dues start at just $99/year; join today!